It’s been amazing year 2014! We attended in 10 shows including World Winner show in Prague, as well special shows for Oriental cats and some our beloved summer shows with great halls and cities. 2nd Best cattery in all categories!!!! 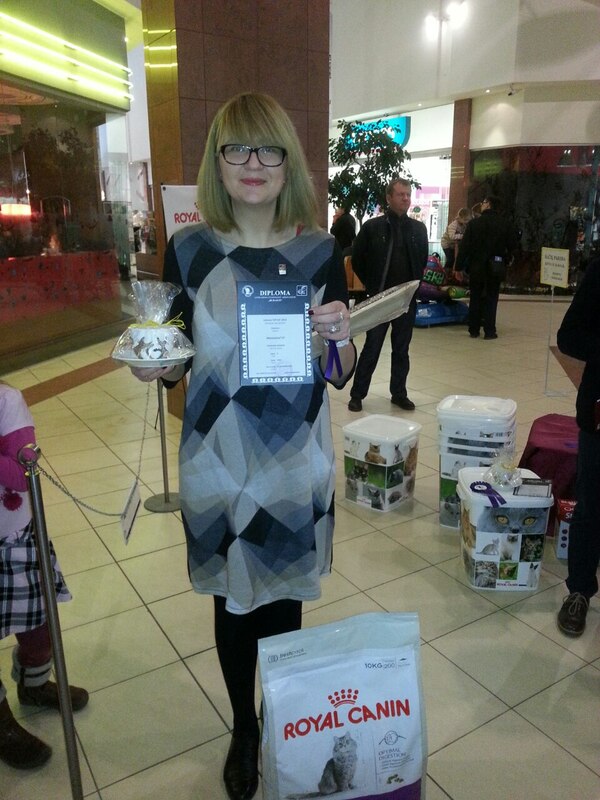 We had a lot of fun at the international cat show in Kaunas – FIFe. Monoceros Mont Blanc, OSH b – 2 CAP, 2 Nom BIS, lost to his brother. Monoceros Mystique, OSH h – 2 CAC, 2 Nom BIS! 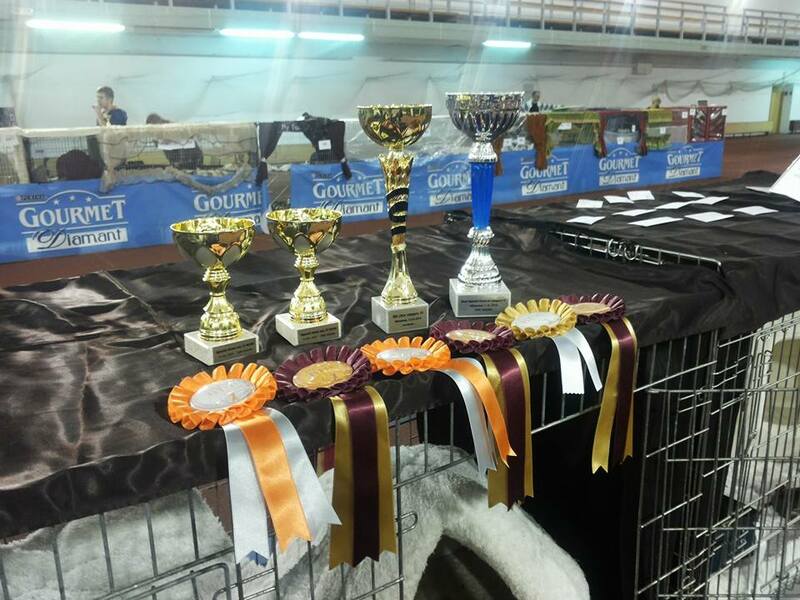 International cat show in Klaipeda, LT! Another great FIFe cat show! We are extremely happy with our achievements! 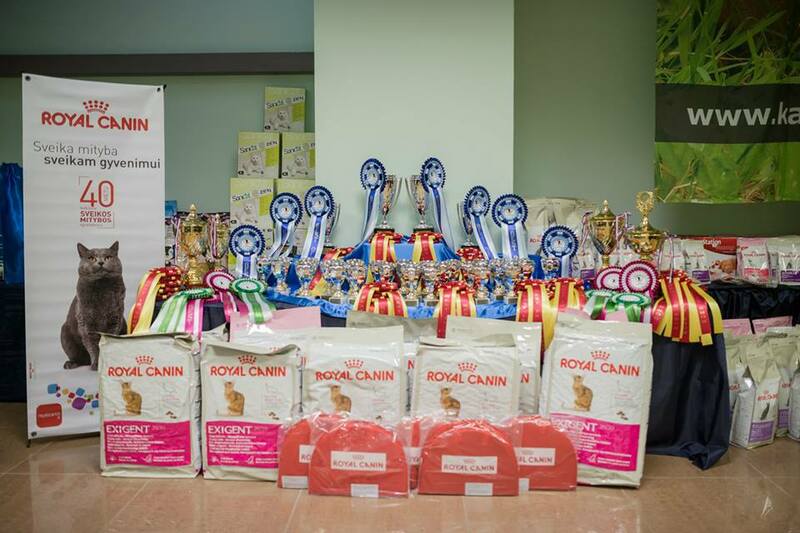 Monoceros Mystique, OSH h 12 class – both days Ex1, Nom Bis, Best in Category and Best of Best II, on Saturday she won a special kitten show out of 34 kittens from all breeds! Our “Midnight litter” – both days Best litter in cat. IV! NW’13,NW’12 SC Louis Le Roi Soleil Sim Sim*UA DSM OSH d 02 21 – 01 class – both days HP, Nom BIS and Best Adult Male! For more pictures check the Gallery! 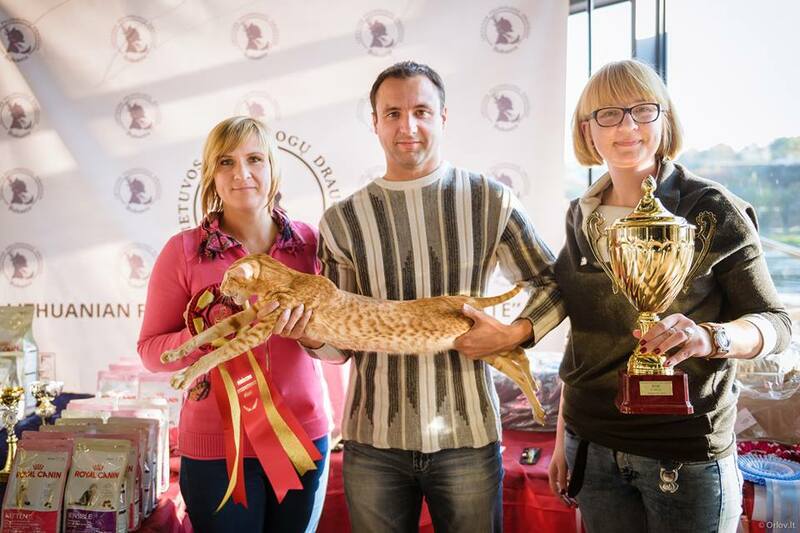 3rd Best cattery in total in Lithuania! To be in top 3 makes me extremely proud! Best Adult male between all breeds SC NW Louis Le Roi Soleil Sim Sim*UA! Best Neuter between all breeds IP Monoceros French Kiss! 2nd Best Adult female between all breed IC Monoceros Indira! 3rd Best Adult female between all breed IC Oralee Dim of Jasmine! Thank you to my team, thank you to the owners of all Monoceros kittens! I hope that 2014 will be also exciting! See you in next shows! 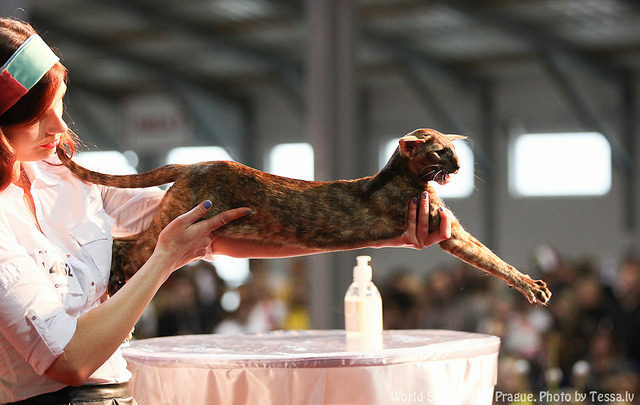 International cat show in Warsaw, PL! 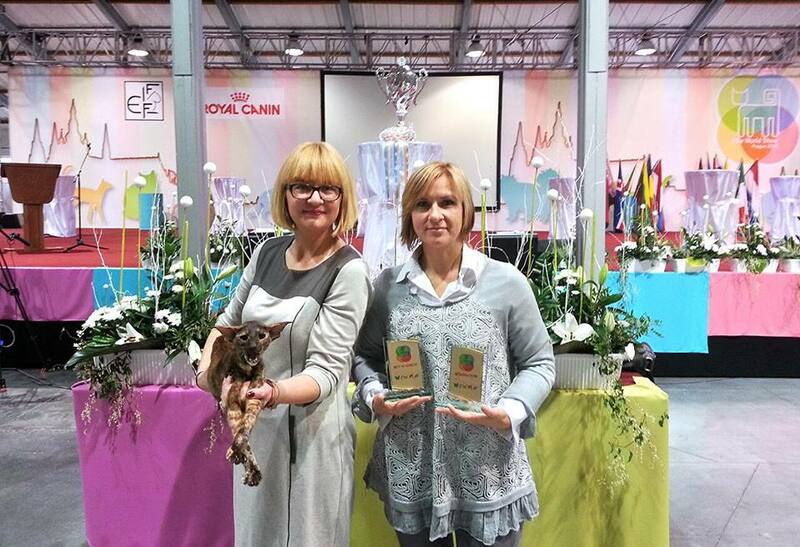 Big team of Monoceros cattery went to the international cat show in Warsaw, Poland! Monoceros litter L – both days No. I, Nom BIS an Best in show Litter! Monoceros Loulou Latebird, OSH f 02 21 – both days Ex 1, BIV an one day Nom BIS! Monoceros Lionheart, OSH n 02 21 – both days Ex 1 and one day Nom BIS! Monoceros Luna Lovegood, OSH f 02 21 and Lily WaterQueen, OSH f 02 21 respectively both days Ex 2 and Ex 3. They both lost to their sister Loulou. IP Monoceros French Kiss, OSH n 24 – both days CAPIB and Nom BIS! From now on she is International Premior! Monoceros Gaja, OSH n 03 22 – both days CAP and Nom BIS! NW’12 SC Louis XIV Le Roi Soleil Sim Sim*UA, OSH d o2 21 – both days HP and Nom BIS! We had a great time with our cattery’s friends from Poland, Ukraine and Germany! I hope we will meet soon!